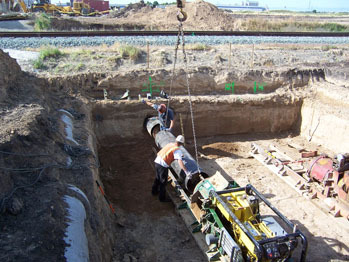 The auger-boring method is a technique used to install steel casing by means of a rotating cutting head. 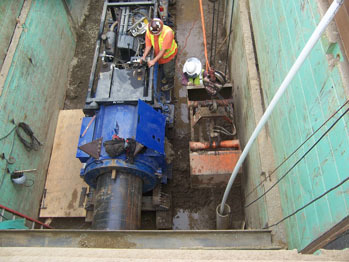 Spoil is removed back to the drive shaft by helical wound auger flights rotating in a steel casing. 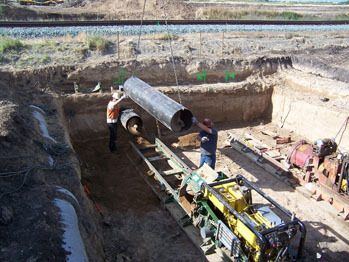 The ejected spoils are removed from the bore pit by a clam bucket, which is attached to the crane and then dumped in a pile outside of the bore pit.